When dpatrickcollins wrote Liberating Christian Thought, it seems he was just getting started. To read what he has written on The Christian Soul, Liberating Christian Thought, read that post and then click to the next. To understand the soul of a nation, don’t we need to understand the nature of our own souls first? In my last post on the question at hand, DOES A NATION HAVE A SOUL? — PART 1, I presented an outline. The next topic? How Do We Define The Soul Of A Nation? Use Google, Bing, Yahoo, or whatever. Can you get a good answer to the question: how do we define the soul of a nation? Perhaps. Wikipedia and others reference French historian Ernest Renan (1823–1892) (See What is a Nation?). Here is their quote from Renan. soul or spiritual principle: refers to deeply held beliefs, beliefs we associate with the reason for our being. common: here common refers to the fact we share a common understanding of and beliefs about our history. What about our nation? Does our nation have a soul or spiritual principle we share in common? Do we all share the same desires for our nation? Have we given our consent to those who lead us? Do we each love our people? What is the soul or spiritual principle that animates America? For the time being I doubt we have one. Use your favorite search engine, and you will probably turn up a PBS series. That seems prominent, but I gave up on PBS decades ago. So I have never seen the series, and I will not comment on the PBS series. Instead I will just point out the controversy over the election of President Donald Trump. That has spawned a “resist Trump movement” that now consumes the Democratic Party. Because Americans are not loyal to the same spiritual principle, the Democratic Party is not the Republican Party’s loyal opposition. Are the Republican Party and the Democratic Party enemies? Not quite, but that is what they became during the American Civil War, and it could happen again. What was the spiritual principle that Americans once shared in common? What unified us? What made us love us love our nation and care about each other? Here I suppose I am supposed to talk about our shared Christian heritage, and in a way that is part of it. However, although the spiritual principle that once bound us together was derived from Christianity, the laws we consent to and desire to uphold are not. Therefore, we express the spiritual principle of America in two forms, one overtly religious, the other legalistically. In the Declaration of Independence, our nation’s founders stated America’s spiritual principle in as a spiritual principle. I believe this is the key passage. In The United States Constitution, because Americans believe in religious liberty, the founders stated the governing principles of our nation devoid of spiritual content. Consider The Preamble. Without the Declaration of Independence, The United States Constitution is nothing more than a set of rules and instructions. Even The Preamble does not tell us what principles guided the Constitution’s framers. Without the The United States Constitution, we can only speculate upon what it means to implement the spiritual principles contained by the Declaration of Independence. Thus, the Constitution gives life to the Declaration, and the Declaration gives the Constitution purpose and meaning. I believe our Constitution was based on Christian moral principles in accordance to the following MW dictionary definition. If I read you correctly, you elieve the writers of the Bible were Spiritually inspired, the same with our Constitution. Perhaps when the Constitution was written and linked to a Christian God, it may have been. However, too many secular Supreme Court Decisions have no bearing on Christian morality to be exalted for righteous, or spiritual inspired, in my opinion. As for God judging our nation, I believe He is not too pleased with the present state of USA morality. Hopefully, He will not destroy us, yet, because of the Lot Biblical story, and because there is still a lot of “brightly shinning souls” still lurking around in the USA, in my opinion. The first thing that came to mind Tom, was if a nation has a soul, it must have a past to define it. Then I think of the first president, and how he was unashamed to bow the knee to Providence, for Mr. W. recognized his own soul in the broader context of God’s blessing upon a nation unlike any other. Contrast that to Iran, Iraq, etc, where the soul is revealed by the leaders expecting obeisance to THEM. Not a picture of light or goodness. The US Constitution is (should be) the backbone of this great country, and the Declaration as well proves these were men of mettle who recognized a country blessed of God, and they were not ashamed to say so. God forbid that we should invoke ‘God’ in our daily discourse. If we have a soul, then it is a necessity, all detractors be dmaned. Happy new year btw, and the best of God’s favor. If we as a people want our soul to shine — if we want to be the shining city on a hill, then we need to support and defend what the Declaration of Independence says our Constitution was meant to be. Until just recently, that has not been happening. I prefer to believe that a soul is something personal given by our Creator. We exalt our souls to shine brighter by living righteous. We dim our souls with our sins. In other words, a soul is a personal measurement of our righteousness. As for a nation to have a soul, it would be unfair, in my opinion, to believe that because we are a member of any nation, our personal souls should be measured along with the sinner members of our nation. I believe King Solomon wrote a proverb that would be more applicable than a soul to judge a nation and the people. In other words, a nation does not have a soul, it has numerous people, some righteous and some sinners. If we want our nation to be exalted, we need to be measured by our righteousness. In my opinion, based on the news, we sadly have too many “sinners with dim lit souls,” to merit exaltation for our righteousness to define our nation by our Creator, or other nations.. Whether a nation has a soul I am not certain. We can speak of a nation’s soul or spiritual principle (probably the more accurate expression), but these are somewhat speculative things. We may, as I have, speak with considerable certitude, but there is nothing we can quantitatively prove. What we do know from the Old Testament is that God judges nations. In the next life? I guess not. But in this life? Why does a nation? What does He consider when He passes judgement? How does He execute judgement? These things we know. In fact, the term nation occurs hundreds of times in the Bible. Our Lord apparent apparently cares how we treat each other both as peoples and as individuals. This is excellent, Tom! Truly profound. I wish more people understood the importance and distinction of both documents. I’m definitely going to love this series! Oh, I like where you’re going with this, Tom! Cool how you used dpatrick’s post as a springboard. I’m going to suggest that America really does have a soul,in a metaphorical sense, and a culture too. There is an invisible thread that binds us together,harder to see in times of strife and disunity, but a huge part of that revolves around Christian values. Sadly, it often takes a tragedy to pull us together, to cause us to forget our differences and unite together. America of course is diverse, there are people of different faiths,non believers, and “cultural Christians” too, people who don’t really believe, but they recognize the significance of those values when it comes to culture. Freedom, justice, loving one another, these are good ideals to have. Well, thus far I have been “going with this” more from the inspiration of others than anything else. I started with dpatrick’s post mostly just because the ideas it generated. Helps me to understand one of my favorite quotes. Newton was alluding to the metaphor described here (=> https://en.wikipedia.org/wiki/Standing_on_the_shoulders_of_giants). That is, he saw himself as a dwarf standing upon the shoulders of giants. Where we study the great classics and strive to understand people more thoughtful than ourselves, we, like Newton, become more than we might otherwise be. When we set out to learn of and model ourselves after Jesus Christ, we can only guess how far we might see. Heaven is my hope. Hazah indeed and may we find that seemingly lost soul in 2018!!!! Thought-provoking, CitizenTom. I have not done much reflecting upon the whole idea of a soul of a nation, which is fundamentally a spiritual or at least metaphysical question. But I would suggest the soul of America is, as you have pointed out, religious liberty. It is ideological tolerance. When ideological forces seek to subvert this in the name of their own ideology, America’s soul suffers. Thank you, and thanks for your posts. What seems strange about today is that the forces that are trying to subvert religious tolerance in this nation are doing so in the name of tolerance, not their own ideology. We have people promoting something they call multiculturalism. In their world view, multiculturalism means all cultures are equally valid and good. That in their scheme of things applies especially to religious belief, from which they exclude Agnosticism and Atheism. Why exclude Agnosticism and Atheism? 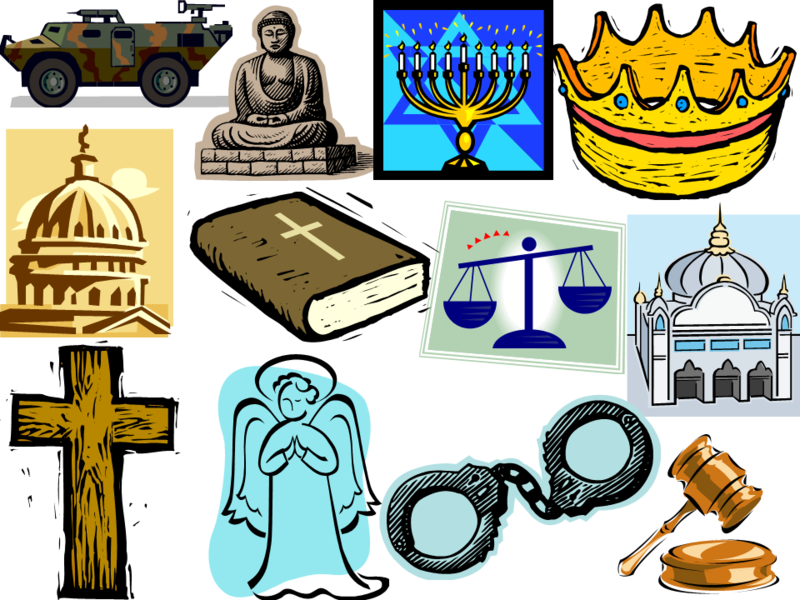 How can all religious beliefs be equally valid and true? Well, that can only be so if none of them are valid and true. Then the Agnostic seems closer to the truth when he says we have no way of knowing if God exists, and Atheist is very likely on target when he says all religions are just myths. Is turning tolerance upside down like this new? No. The Romans did it. The Romans prided themselves on their tolerance. Whenever they conquered a people they accepted their gods, adding them to their own. In fact, they got mad at the Jews and the Christians because the Jews and the Christians would only worship their own God. Because of this exclusivity, they considered the Jews and the Christians Atheists.